Your Personal Horoscope will Show You How the Planets are Affecting Your Life. Get your free personal horoscope. Just enter your birth data below. Daylight Savings (or other clock adjustment) in Effect? Several cultures have systems of astrology. The Chinese have one that correlates human personalities with animals, based on the year of a person’s birth. The West has one that describes personalities according to the month of a person’s birth. But the Indians have developed Vedic Astrology millennia ago, which not only describes our personalities according to the precise time we were born (within two minutes), but also enables us to accurately predict the timing of events. The word “horoscope” is derived from the Greek word ‘hōroskopos’, which is a combination of ‘hōra, meaning ‘time,’ and ‘skopos,’ which means ‘observer’. Thus a horoscope is a method of observing how time will affect us. There are many websites (including this one) where you can find out a little about how you are connected to the universe, and how it is influencing you. The phrase “Star Sign,” or “Sun Sign,” is a term used by Western Astrology. It refers to the astrological sign in which the Sun was located at the time of your birth. One of the problems with this is that you only get a generic prediction – one that is shared by the hundreds of millions of other people who were born in the same month as you. Vedic Astrology, as used on this site, gives you a personalised, individual, custom-made prediction that is unique to you. It works from the positions of all the significant planets in our Solar System at the moment of your birth, according to where on the planet you were born. One of the reasons It’s so precise is because it calculates the planetary effects based on a two minute interval in your birthday at a specific geographic location, not just anytime within a month , anywhere on Earth. Why Vedic Astrology is a better system for calculating horoscopes than Western Astrology. The word ‘vedic’ comes from the Sanskrit word ‘veda,’ which means ‘total knowledge’. There’s a big difference between the Western system and the Vedic system. Both systems use the same 12 signs and houses, but they disagree on when to start counting. Western Astrology (also known as Tropical Astrology) says that the Spring equinox (March 21 in the northern hemisphere) is the first day of the sign Aries. But Vedic Astrology says that first day of the sign Aries is when the sun enters that sign. That day changes from year to year. The Sun enters Aries (and all other signs) four minutes earlier than it did last year. Western Astrology acknowledges this fact, but ignores it. At the time astrology became popular in the West, (around 287 AD), the Spring equinox (March 21 in the Northern Hemisphere), coincided with the first day of Aries, as measured by Vedic Astrology. Which seems pretty neat and orderly. Because of this neat coincidence, those early Western astrologers assumed that the first day of Aries would always be on March 21. 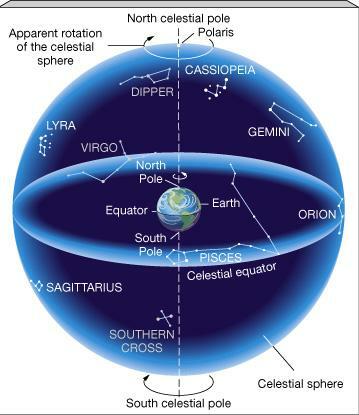 However, the Spring Equinox is always moving against the backdrop of the celestial sphere – the Zodiac. Even though Ptolemy, the most learned astrologer of that era was aware of the Spring equinox moving, subsequent Western astrologers have ignored the fact. The Spring equinox moves about one degree every 72 years. Although that doesn’t seem like much, over the centuries it adds up. As of 2018, the beginning date of Aries has moved forward by 24 degrees from where it was in 287 AD, the most recent time that the two systems agreed on the starting date of the yearly Zodiac cycle. And it’s not only Aries that has moved forward; so too have the starting dates of all the other signs. In fact, the movement of 24 degrees is 80% of the 30 degree segment that is assigned to each sign. This means that 80% of people who think that there Sun is in a particular sign are wrong. Another way of putting this is to say there is an 80% chance that you are not the “birth sign” you think you are. For example, if you think you are a Pisces, it’s more likely that you are an Aquarius, the preceding sign. If you think you are a Scorpio, it’s more likely that you are a Libran. The Sun takes about 30 days to transit through one sign. The first 24 days of that sign, as measured by Western astrology, are incorrect, according to Vedic astrology. Only the last six or so days of that sign are identical in both Western and Vedic astrology. Western Astrology is outdated, and has been for centuries. That’s not to say that Western Astrology is completely useless. Western Astrology focuses on our psychological nature, and sometimes gets it right. But it lacks reliability for predicting events and experiences. Understandably so, since it is based on an inaccurate starting point. Although Vedic astrology also gives us a lot of information about psychological nature, it gives more focus to understanding when certain events are likely to take place. When such tendencies are likely to manifest for that person. The first thing you will notice when you compare a Western and Vedic chart is that the Vedic chart looks very different. 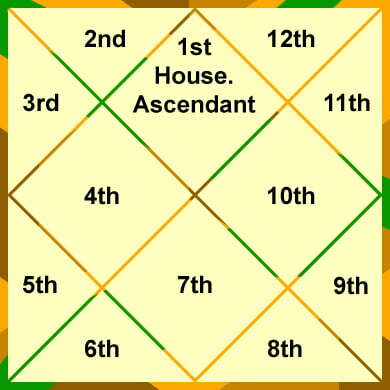 You are probably familiar with the round shape of a Western chart; the Vedic chart is square. If you are familiar with Western astrology, upon careful examination, the Vedic chart will appear to have planets aligned with the wrong constellations (signs). A natal chart [or a birth chart] reading reveals the differing sign and house changes of planets in the Vedic chart. For example, suppose, according to Western astrology, your Sun sign is in Capricorn. In the Vedic system, it could be in Sagittarius. Your rising sign and the other planets might also be in unfamiliar signs. However, this does not mean that Vedic astrology is inaccurate. It simply calculates a horoscope differently. The interpretations are most often more precise than in Western astrology. The times of life events are shown through a detailed system of planetary time cycles, called “dashas.” There is no corresponding method in Western astrology. Western astrologers who make a study of it, often find themselves converting to Vedic astrology because of its greater scope, depth and accuracy for predicting the future. A man marries a woman, hoping she won’t change, but she does. A woman marries a man, hoping he will change, but he doesn’t.